The cost of moving home can cause many headaches. Getting caught out with unexpected bills is something you don't need on top of everything else. Having a realistic idea of how much things are going to cost helps you calculate the likely moving costs and plan your budget better in advance. When considering if you'll move house yourself, your biggest DIY expense will be the truck, van or trailer hire. Shop around and hire any vehicle well in advance. Then you'll need to buy packing materials: boxes, pens, any colour coding system you're using, sturdy tape and lots of bubble wrap. You'll need a lot more of this than you expect. Use this packing calculator to figure out how many of these items you might need and read our complete house moving packing tips here. Even a small move is a huge task by yourself. Ever tried to carry a bed on your own? Enlist the help of your strong friends and family. Add to your budget any pizza or drinks you might need to buy as a thank you. Hire a home removal company or go DIY? Unless you're only moving a small number of items a short distance, it's usually better to get a home removal company to do it. Professional movers are strong, efficient and they're skilled at fitting everything in. It might cost a little more but it will take far less time overall. Pack yourself or get professional movers to do it? Having professionals pack up your household can lower stress levels. It can be good if you don't have the time, and it's worth weighing the cost versus what your time is worth. The moving company will give you a quote which covers all packing materials plus the cost of moving. This means there shouldn't be any surprises later. Some companies also give you the option to partially pack yourself, so you can work within your budget. If you do choose a removal company, make sure you know their policy around breakables. It's always a good idea to pack and move your own valuables such as jewellery and your passport/s, and it's always worth de-cluttering your home before the professionals arrive. Professionals will usually pack up your house the day before moving day. Whichever way you go, it's a good idea to get three quotes from different potential moving companies. Many companies will provide a ballpark estimate online before you request a customised quote. Once you know roughly how much your move might cost from the different companies, give them a call. Are they helpful on the phone? Do they provide packing materials and boxes? Do they remove packing materials at the end of the move? How many movers will they send for the job? How long do they estimate the job will take? What are their rates for overtime? What is their insurance policy? What happens if they break anything? If you're moving inter-island, or your household contents will be in storage with the movers for a while, make sure you know how securely it will be stored between the moves. Many moving companies will insist on packing your boxes for you when moving overseas as otherwise your items may not be adequately packed and therefore not covered by insurance. For more tips on moving overseas see this helpful advice from Crown. In addition to your DIY or professional movers' costs, here are some other costs you need to factor into your moving budget. One thing you can guarantee: you'll have more rubbish than you imagined by the time you've finished packing. Hiring a skip can save you going to the rubbish tip if you have big, bulky items and also help get rid of day-to-day rubbish. This is especially relevant if you live somewhere where you can't purchase extra rubbish bags for your home collection. Make sure you shop around. Some companies offer recycling/green waste skip bins also. Remember to budget in the cost of any storage you might need and the insurance needed to cover these possessions. There are many options. You can take your items to a storage container. Or you can hire a container to be delivered to you and then taken away to store. This will then be delivered to your new address. Pricing for these will vary depending on the solution you choose. On average, a three to four bedroom home requires around 31 to 33 cubic metres of storage costing around (1) $265 - $285 per month . A one-bedroom flat equates to about eight to ten cubic metres costing around $115-135 per month. See how much storage you might require using this storage space calculator. If your belongings are going to be in storage for some time, a good packing system will help you keep track of what has gone where. See our guide to packing for help. If you're moving a long distance or flying, Air New Zealand has options for accompanied or unaccompanied pets here. 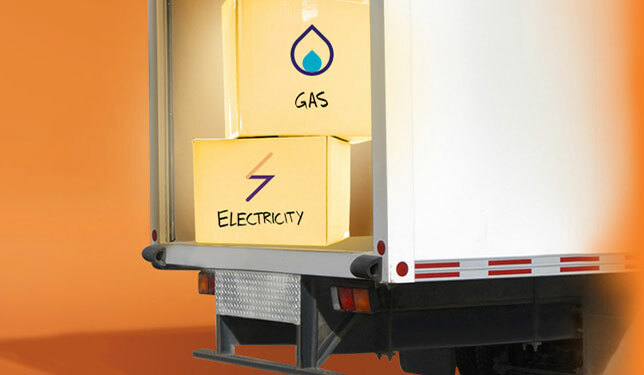 If you're a Genesis customer, we've made it really easy to set up gas and electricity in your new home with our Home Move Hub service. Spark customers can even transfer their broadband at the same time. If you're moving house soon, make sure you visit the Home Move Hub now. If you're not a Genesis customer but you'd like to be, it's simple to become one here. Your energy provider may also charge a small fee for connecting gas or electricity to your new home (e.g. if they have to test your new meter). Redirecting mail - It costs $24 - $200 (as of November 2016) to redirect mail for 2 - 12 months within New Zealand and internationally at NZ Post. See a list of the places where you'll need to update your address here. Make sure you contact your utilities providers ahead of your move date. See more on how to move utilities when moving house here. Once you know how much your movers, your packing materials and any other costs will be, make a plan for how you're going to pay for your move. Advance planning is key.